I'm definitely a make-up girl. The first time I had my make-up done was for my first ballet performance when I was seven. It was weird at that age to sit still for so long and have someone dab at you with big powder puffs and brushes, but it was also exciting! Now that I do my own make-up and bought a make-up table last year, I find myself drawn to make-up that has pretty packaging. I mean, if it's going to stand around on my make-up table, it might as well be nice to look at, right? Below are a few images of powder tins and compacts I found online. The colors! The detail! So pretty. 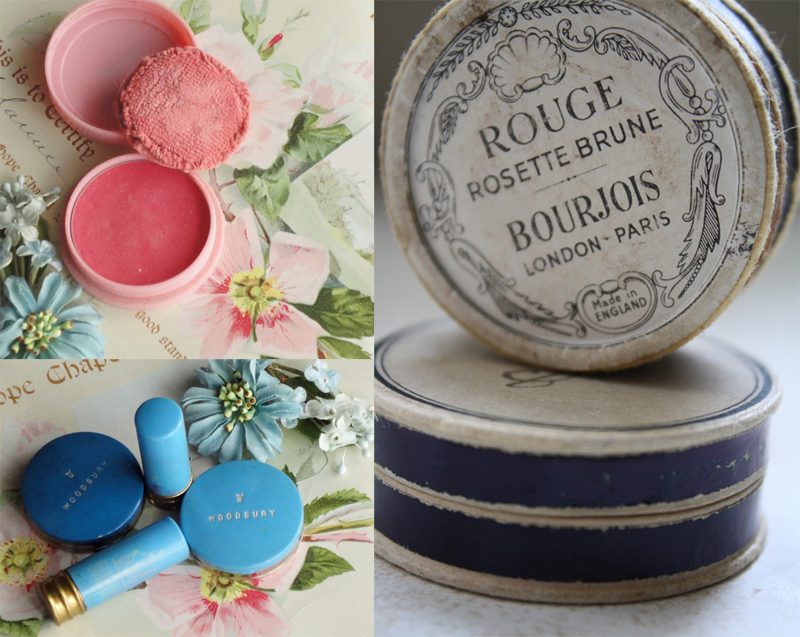 But feel free to check out vintage make-up containers on etsy if you, unlike me, have enough space to keep them!